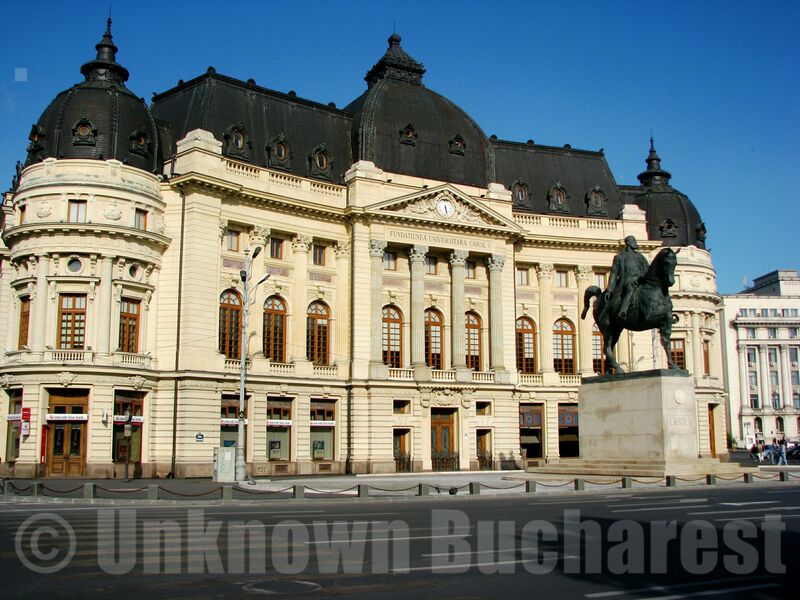 The statue of King Carol I stands proudly in the middle of the Palace Square, in front of the beautiful building bearing on the frontispiece the King’s name: “Fundatiunea Universitara Carol I”, “Carol I University Foundation”. Preoccupied with increasing the quality of education at all levels, in 1891, with the occasion of 25 years of his reign, King Carol I decided to create a library to be used by university students. “Choosing Ourselves the place of the future building, We wanted it to rise close to Our residence, under Our eyes and protection” The King revealed in a letter addressed to the Prime Minister (“alegând Noi Înşine locul viitoarei clădiri, am vroit ca ea să se ridice aproape de reşedinţa Noastră, sub ochii şi sub ocrotirea Noastră”). The King and the Queen personally donated a large part of the initial book endowment of the library. The Library was heavily damaged during the events of the December 1989 Revolution, when the roof was engulfed by fire. Thousands of manuscripts and rare books of inestimable value perished. Rehabilitation of the building and of the damaged books, records and collections lasted more than 10 years, and the official reopening took place in 2001.The building houses today the Central University Library of Bucharest, a cultural institution of European level.